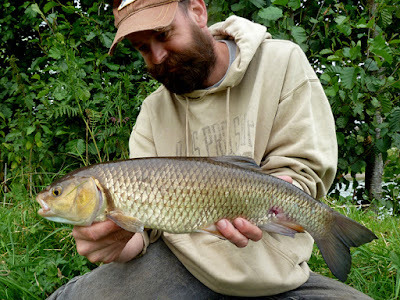 Chub Soup: Well the chub stayed on the feed, hitting the lures and beating the barbel to the bait. So today I was joined by Paulos and Roger and we were searching for a barbel - and we struggled, no bites - not even chub! 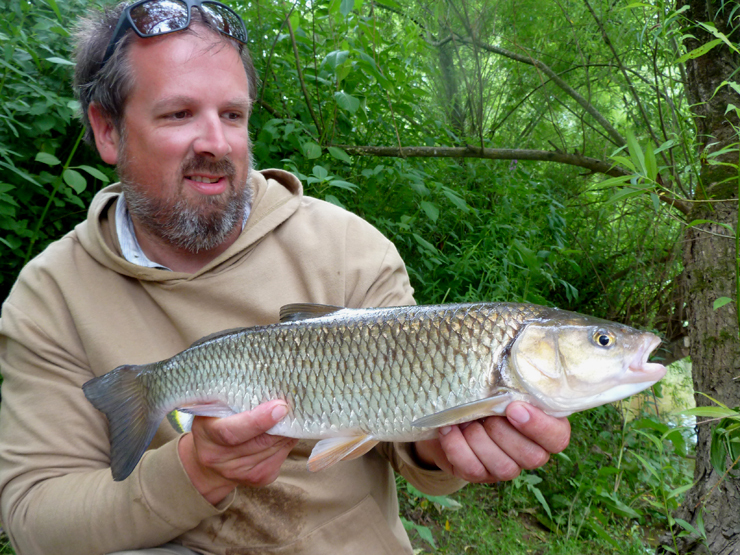 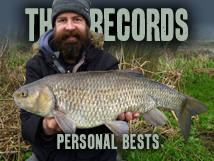 Until after a couple of hours a static bait was hit and the rod nearly ripped into the water - Paulos was into a barbel, a new PB of 7lb 5oz - brilliant. Then the chub suddenly woke up, Paulos managed a new PB of 3lb 7oz before heading off at lunch time. 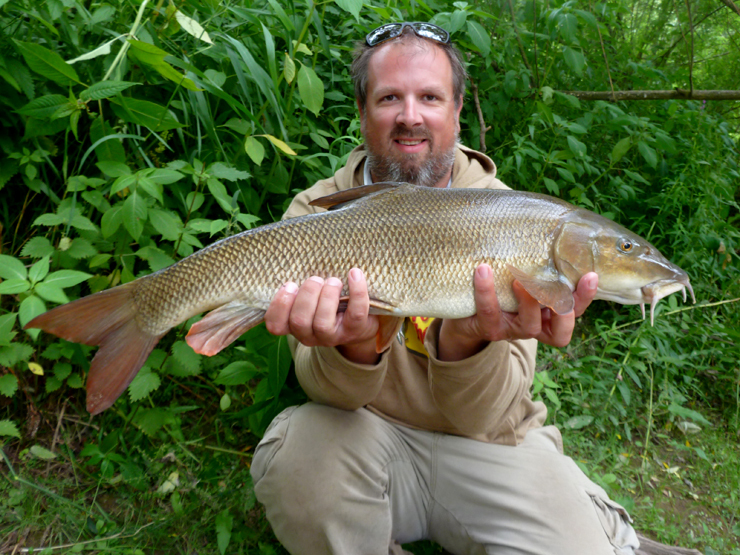 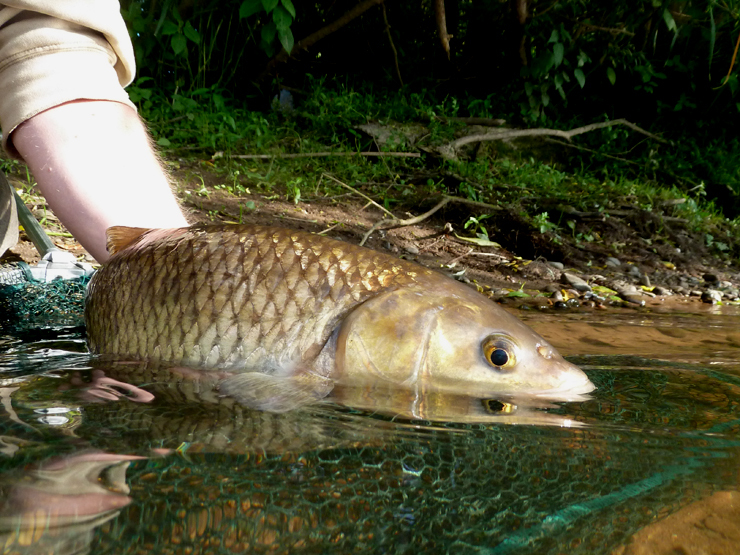 I headed back to the island and bagged up on chub with just one barbel making an appearance - a swing job! Cheers. They made us work for it (the barbel, not the chub so much).